In our continuous endeavour to bring you the very best in dental advancements, Dental Solutions invested in state-of-the-art AirFlow Swiss Technology, further enhancing our dental hygienist and implant treatment services. 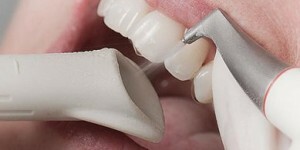 Very few dental practices can offer an AirFlow polishing treatment using this most advanced equipment. 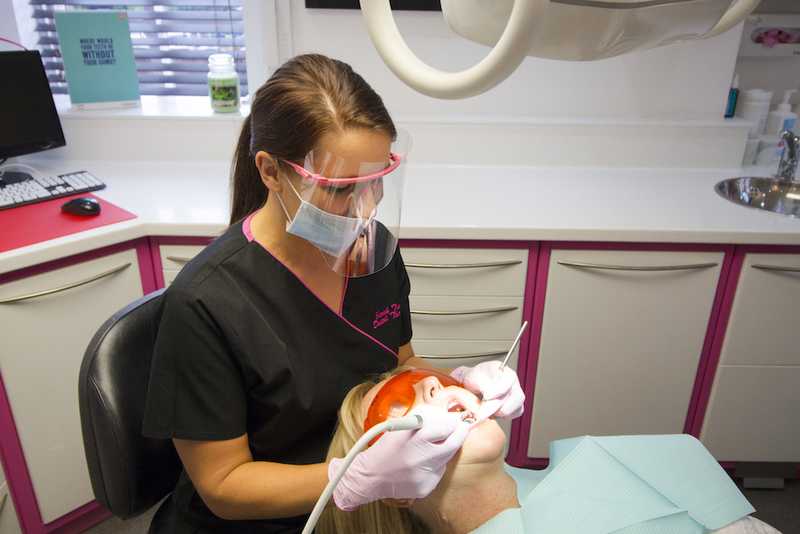 You can see the equipment above in use by our dental hygienist, Sarah Towns. The AirFlow Master allows us to achieve many things that more a basic polisher cannot, to benefit your oral health and brighten your smile. 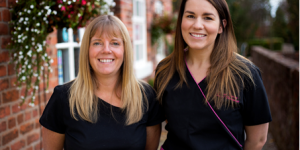 AirFlow treatment is a pleasant and comfortable oral cleansing therapy using a combination of air, sodium bicarbonate or glycine powder and a gentle jet stream of water to clean the surfaces of your teeth. 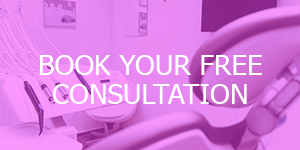 It takes just one appointment to leave your teeth feeling smooth, clean, polished and ready to smile with confidence. 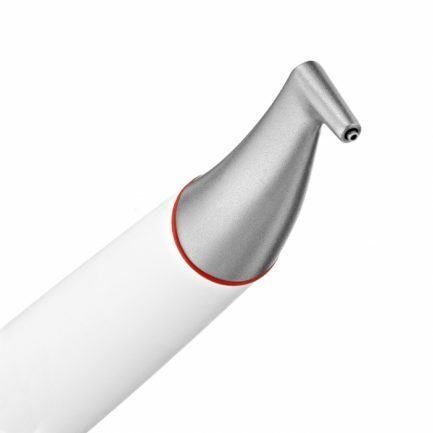 The AirFlow Master uses two handpieces; AirFlow and PerioFlow. The PerioFlow handpiece is the best gentle, non-surgical treatment of gum disease, and is also the only clinically supported implant cleaning method of its kind. 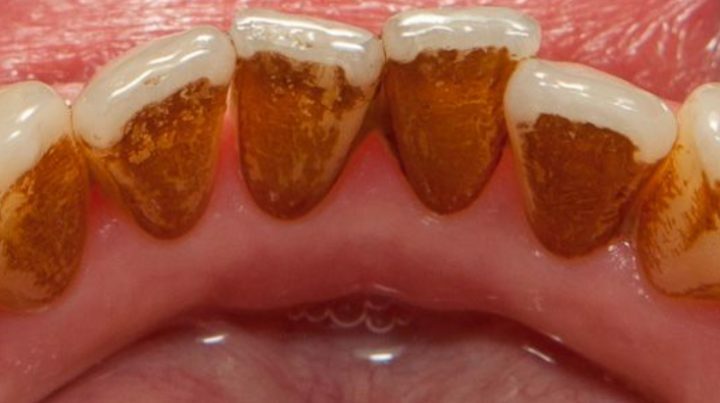 A firm favourite of those who have unsightly stains on the surface of their teeth. AirFlow uses air, sodium bicarbonate or glycine powder and a gentle jet stream of water to remove surface stains caused by tobacco, food and drink. 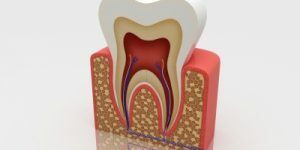 It is kind to the tooth surface and will significantly improve the brightness and give you a noticeably sparkling fresh healthy mouth in an instant. You will immediately see and feel the difference. Those with sensitive teeth who find ultrasonic scaling treatments too uncomfortable often prefer the gentle AirFlow system. Although AirFlow cannot remove hard tartar, it removes plaque biofilm, stains and early calculus deposits – cleaning and polishing in one single procedure. The soft and gentle spray of the airflow is the ideal solution for cleaning orthodontic appliances. The powder spray is comfortable and perfectly safe to use on bracket surfaces, removing any build-up of plaque or surface staining to the bracket or tooth. 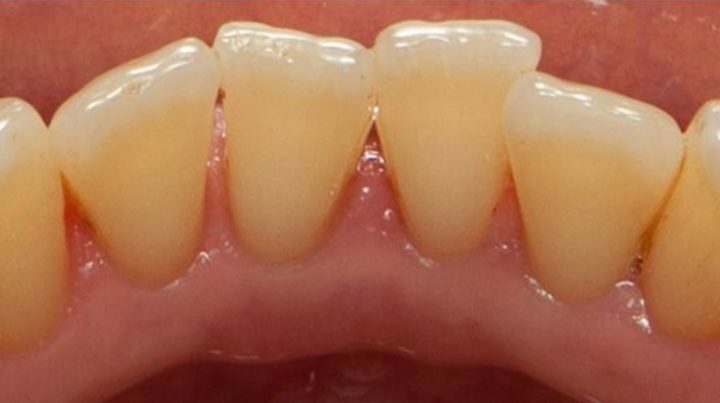 The Air-Flow Master’s ‘PerioFlow’ attachment is the only clinically supported implant cleaning method of its kind – it has been proven to decisively contribute to the long-term preservation of implants. It is gentle on implant surfaces, while traditional metal instruments have been shown to scratch implant surfaces and increase surface roughness. 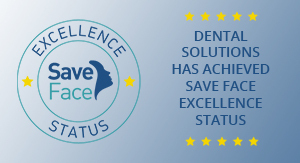 The PerioFlow handpiece has revolutionised the way we treat gum disease. 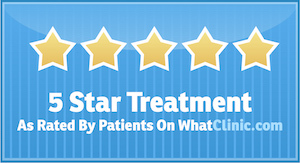 It is an advanced treatment for periodontal disease for sustained bacteria reduction. 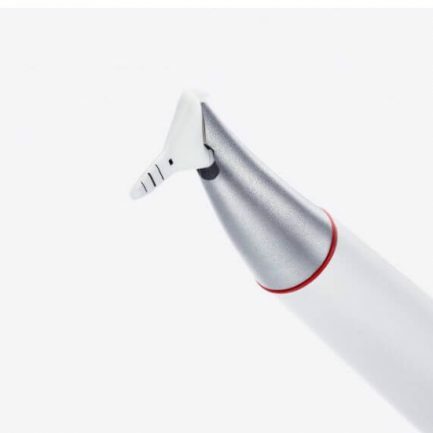 The PerioFlow’s flexible, rubber tip can reach the deepest pockets in the most comfortable, minimally-invasive way – meaning a much more comfortable and effective treatment for our patients compared to traditional metal tips on handpieces. 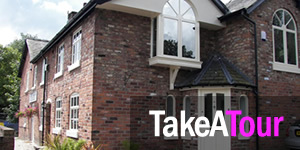 Please get in touch to book an appointment, we look forward to your call. 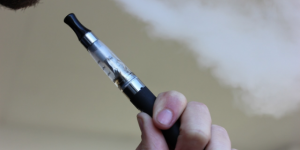 Patients suffering from upper respiratory tract infections, from chronic bronchitis or asthma cannot be treated with an air polishing device – the jet of air and powder could cause respiratory difficulties.